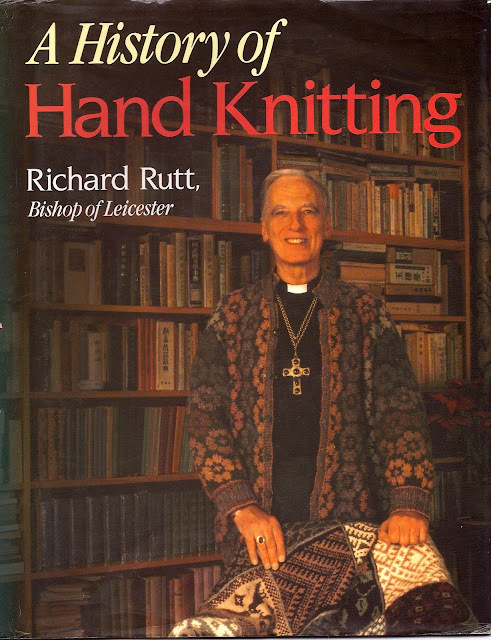 Richard Rutt, Bishop of Leicester, was taught to knit by his blacksmith grandfather when he was 7 in 1933. His grandfather had learned to knit about 1873 when he was a little boy in the village of Henslow in Bedfordshire. Richard pestered his mother to learn more and before long had mastered the turning of a sock heel. Because his shop bought gloves never fitted, he designed and made his own with longer fingers. 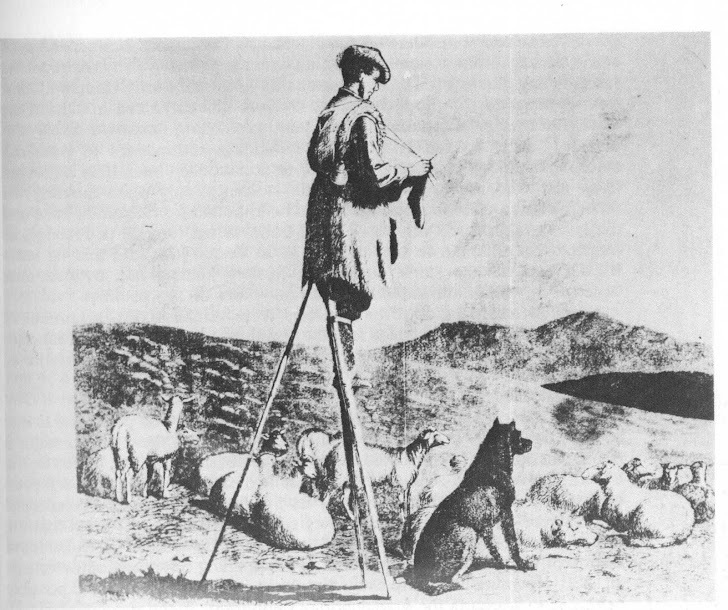 He struggled to knit a pciture of his pet guinea pig and discovered the principles of intarsia knitting. During the war knitting was positively encouraged because of clothing shortages, and was still acceptable as a craft for men, and he knitted on long train journeys to Plymouth (he was in the navy but didnt ever go to sea). 1954 - 1974 he was in Korea and gave up knitting because he couldnt obtain yarn, but started again as a therapeutic thing when depresseed on his return to England. He says in his introduction to this book that "it is the first monograph on hand knitting history, it is incomplete and an amateur work but I hope that it will be useful in stimulating others to write in greater detail and with greater accuracy". He studied medieval and modern languages in Cambridge and was a missionary priest in Korea, before being consecrated Bishop in 1966. Because he could find no book of hand knitting history, he wrote one himself.